I am all about learning new things. Five years ago, I jumped into a new job after 20 years of teaching. Talk about learning curve...but that is what I need to do in order to stay excited and creative! 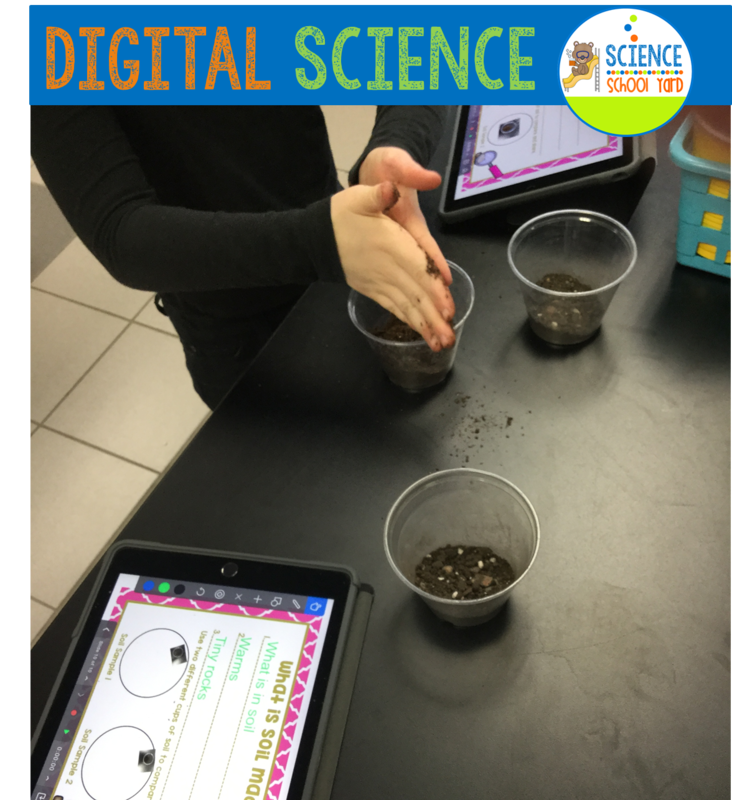 Last year, our school went 1:1 with iPads and as a science teacher and not a regular ed. classroom teacher I needed to find ways to incorporate digital activities as we embraced this new technology. I have to say, at first it was a bit overwhelming. Many districts, allow their teachers to download free apps or use Google Classroom...our district has a lot of restrictions on us so we had to use the apps that they allowed us to use. All students were given the app Explain Everything as well as See Saw. Two great apps, however instead of Google Classroom, we were expected (still are) to use something similar, but certainly not the same, called ItsLearning. Because of that, it limited me on what I could make for my students...where I see teachers able use movable parts for activities...I have to use activities that are more locked into place. 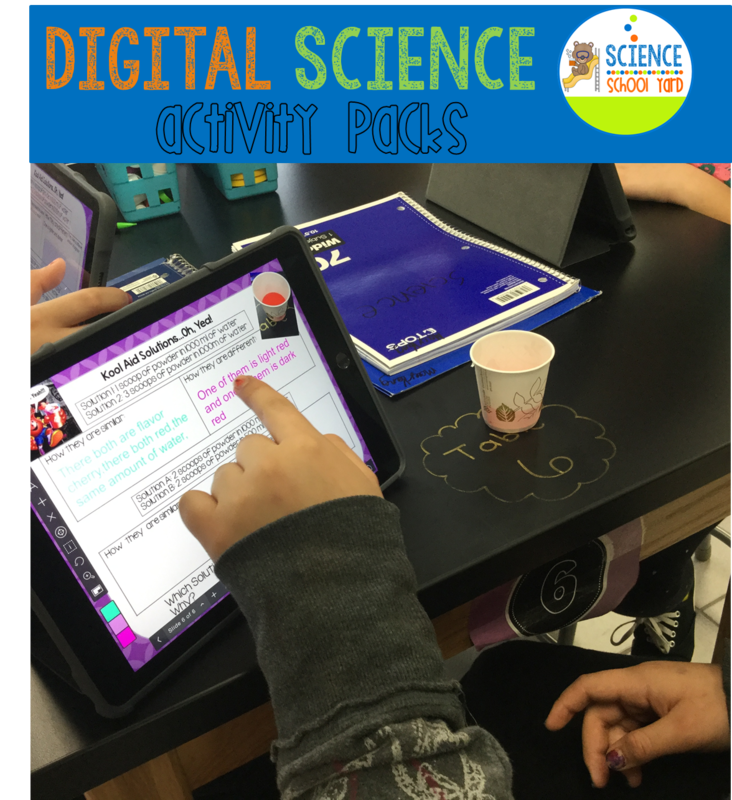 Using Explain Everything, I can then airdrop the activities that I make so that allows me to easily get a digital worksheet, digital slide activity, or even a quiz or test that can be housed in our ItsLearning site. 1. When I started with the littles (K-2) I had to find age appropriate terms to refer to what they needed to do to get the sheet I needed them to download or get airdropped. I had to go very slowly, talk slowly, and walk around and reteach over and over...but it is worth it now...they will have background knowledge coming into this year. Slow and steady wins the race. I love when kiddos can help each other, they love taking ownership of what they know. 2. I had to teach them to airdrop and sometimes it doesn't always connect or their name doesn't always come up for them to get the drop. So, I taught them how to airdrop to each other. They were always willing to help and show what they know. To go with that...we do a lot of picture taking. Let them take photo opportunities. It allows for them to have visual clues as to what they learned. Let them do an activity or take that picture then let them share what they did by airdropping their sheet to each other, walk and talk, find phony facts...all great ways to share what they did and to be held to accuracy! 3. When we used Explain Everything, I had to teach them how to find their airdrop in camera roll, upload it, resize it, and lock it as a background. So here is what I had to say..."Go to the plus button on the left. Find Existing Image/Video (which is now a red mountain , they fixed that so it is now color coordinated! ), find the picture that was airdropped and now resize. Press the blue done button on the top. Now to lock it in so it doesn't move...find the i with dots around it. Press the picture you want to lock, go to the last thing to do, which is set as background. Press that and now you are done!" For those of you that have used Explain Everything...it is different now. The buttons are easier with less steps! How do you fix it? You can use labels with typed out email address that I placed on each of their science folders. You can also place them on the back of each iPad. Email addresses can also be put on a ring binder with email address as well as passwords to other apps and sites. 5. Kids can't always remember where they put things. Use icon pictures of apps that can be on magnetic strips on your board, use the icon of the app on a smartboard, or even model it with your own iPad. 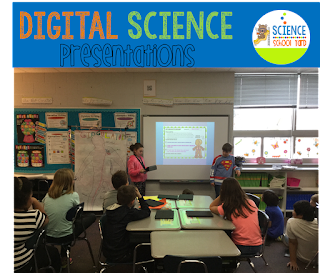 If you are using Google Slides for example...have the Google Slides picture up on the board...or show them your iPad for help. They new visual clues. 6. As a specialist that has iPads brought to my room from over 22 different classroom settings...Do not tech sabotage your kiddos because it is something new or hard to learn. Find others that can help you learn one thing at a time, ask questions, or have kids help you! I knew exactly what teachers weren't using their iPads because their kiddos were not tech savvy or they could not follow the instructions as well as other classrooms. They spent too much time remembering each week how to use an app. 7. Make sure you have a system for charging your iPads! Often kids from certain rooms came in with their iPads not charged. We want kids to remember, but we have to also check for them, assign a charger coordinator as a class job, and have a system for organizing them. Whether that be in buckets per table group, dish racks, or a special container your district was able to get you...make sure you have an organized system for keeping them charged and ready to go. 8. Do not use them as punishment. Yes...I said it. Some of our teachers were taking them away if a kid talked, taking them away if they weren't focused, taking them away to teach a lesson about charging them...then we as specialists were punished when they student came in unprepared. If a child uses them inappropriately (bad site, inappropriate pictures...)then have a system in place to take it away unless they are monitored or have a buddy watching that they are on the right site. We now have a guided access app that helps us keep kids on specific sites as we work in class. 9. Find ways for your students to show what they know, share what they learned, or even create projects for class. 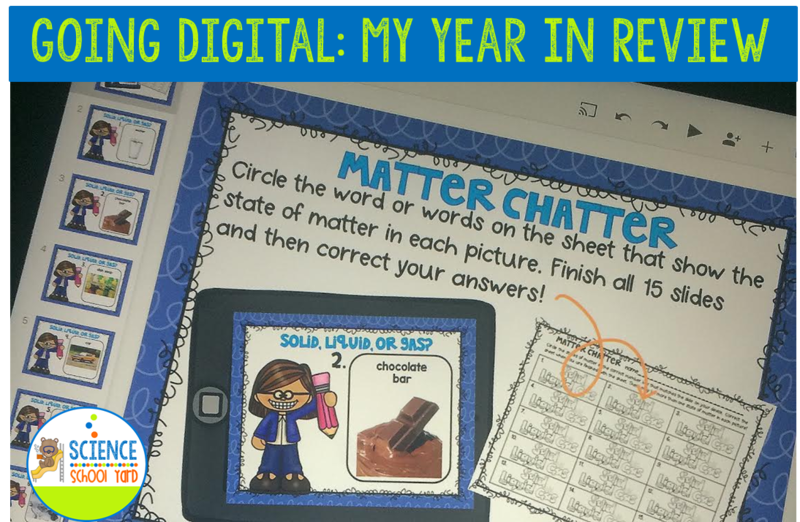 Kids love to use ChatterKid, Book Creator, Scribble Press, Stop Motion, and Garage Band which are just a few fun apps to consider! I love SeeSaw for parent communication! Kids take pictures, write a caption and share with their families! You will need parent permission to have kids do that though. 10. 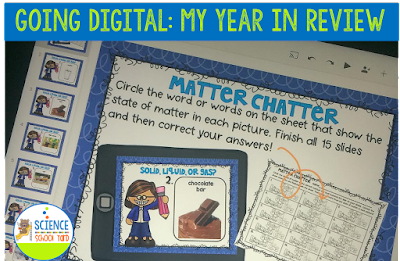 Last but not least...find great activities and resources that help you continue to use your curriculum, but use digital resources to help be a vehicle for your standards and lessons! 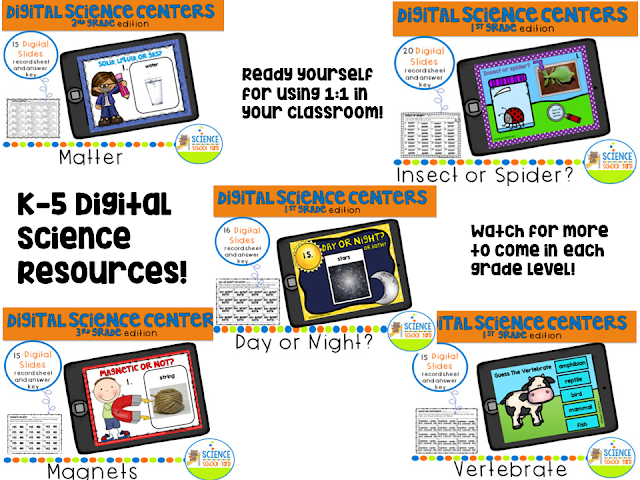 Last year, I made over 20 resources to help me in my science classroom! This year, I am focusing on stations, assessments, and activities that can check for understanding on their own after we do a science lesson! I will be making resources for everyone of my classrooms kindergarten through fifth grade so follow me on my TPT store to find out when I post a new Digital Science Resource!